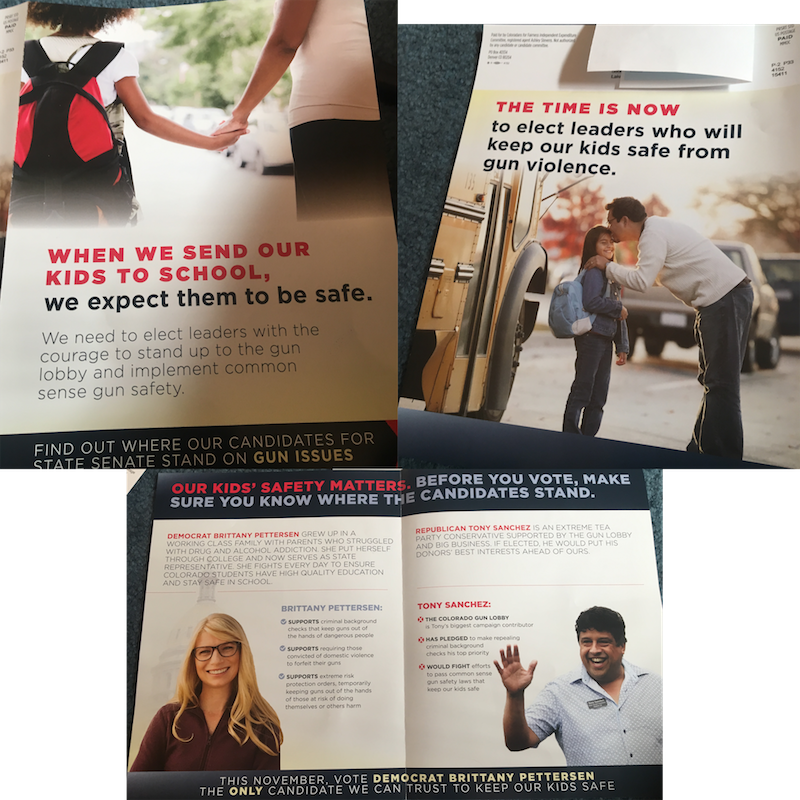 This mailer from super PAC Coloradans for Fairness contrasts Democratic state Sen. Brittany Pettersen with her Republican Senate opponent Tony Sanchez. It accurately says gun groups are his biggest contributor; Rocky Mountain Gun Owners, considered more conservative than the National Rifle Association on gun issues, donated $4,800 to his campaign. And he has said he would vote to overturn some gun control laws. Pettersen opposes this.